Sydney, Australia is a vibrant city that draws visitors from all over the world. But for boaters in particular, there are facts and bits of history about this famous area that will undoubtedly add to the signature allure that Sydney possesses. Sydney is one of the most well-known cities in the world, and the image of the lights of the famed Sydney Opera House reflecting off of the deep harbor waters is iconic. But there is so much more to this populous, multicultural city, than her stunning architectural features. Boaters will revel in the sheer breadth of the natural harbor of Port Jackson (Sydney Harbor, Middle Harbor, North Harbor, Lane Cove, and the Paramatta Rivers fall under the umbrella of this name), as well as the access it provides to 20 swimmable beaches. Sydney is a city rich in history and distinction, but there are a few facts about this destination that are sure to be of particular interest to boaters. What is the Sydharb Unit? Unless you are a native of Australia (or perhaps a science buff), than you probably did not know that Sydney Harbor is the basis for a real (although unofficial) unit of measurement — the “Sydharb.” Equivalent to approximately 500 gigalitres, this unusual unit was formulated to describe the volume of water found in Sydney Harbor during high tide. Also appropriately called a “Sydney Harbor,” the term has been recorded in official Australian documents as well as casual conversation, but has never really enjoyed popularity outside of its country of origin. Rooted in the ideals of volunteerism, community, and competition, surf lifesaving has grown and evolved significantly since its early days on the local beaches of Sydney. It grew from a need for lifesaving services for the popular beaches of the area, and consequently the Surf Bathing Association of NSW (SBANSW) — the first of its kind — was born in October of 1907. This original association was comprised of nine volunteer clubs and organizations at the time. While the purpose of these voluntary life-saving clubs remains primarily a civic-minded one, it has also become a competitive sport, with the organizations regularly competing against each other in surf carnivals which feature individual and team events that range from surf swimming and board riding to sand running and mock-rescues utilizing rowed surf boats and paddled surf skis (which are similar to kayaks). Since the summer of 1968, Sydney has been the hub of a boating extravaganza that provides education, entertainment, and inspiration to casual and professional boaters alike. The Sydney International Boat Show provides a fun place for like-minded adventurers to get together once a year to celebrate their passion for boating, to hear from the experts, to view the best and latest boating technologies, and (of course) to enjoy great food and drink embellished with live performances by local artists and musicians. Hundreds of people make the journey every year to sample the delights of the boat show, and the event has hosted over three million visitors to date. This prestigious yearly yachting event takes place every Boxing Day, and is widely considered to be one of the top three most difficult yacht races in the world. 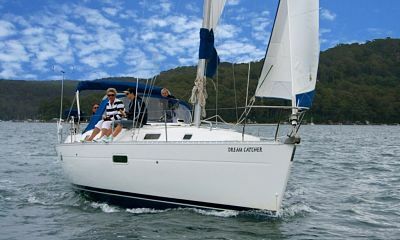 The race was founded in 1945 by a group of friends who initially wanted it to be more of a pleasure cruise, but instead opted to make it into a race. Taking place over 630 nautical miles from Sydney to Hobart, Tasmania, the Sydney-to-Hobart Race is a fiercely competitive and dangerous event. It is hosted by the Cruising Yacht Club of Australia with the cooperation of the Royal Yacht Club of Tasmania, and is an occasion that is anticipated and prepared for by seasoned sailors from all over the world. Incredibly, the fastest boat in the world has so far held that distinction for over 30 years, having set the World Water Speed Record in October of 1978. 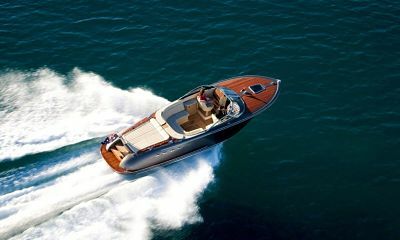 The wooden speed boat Spirit of Australia was built in a Sydney backyard by the man who also drove it to its record-breaking speed of 317.596 mph — Ken Warby. Since its accomplishment, the craft has been put on permanent display in Sydney’s very own Australian National Maritime Museum, where it can be viewed today. Rumor has it that Ken Warby and his son are working on a new craft, the Spirit of Australia II, with hopes to overtake their own unbroken record. Also on view at the Australian National Maritime Museum is the 37’ yacht Blackmores First Lady — which carries the distinction of being the first boat used by a female sailor to complete a solo, unassisted, non-stop circumnavigation the globe. Accomplished over the course of 189 days in 1988, Kay Cottee (herself a Sydney native) found herself greeted by a reception of thousands in Sydney Harbor when she made her triumphant return. She was only 34 years old at the time, and has since further made a name for herself as an accomplished artist, writer, and boat builder, as well as an international motivational speaker. Sydney is a fascinating city, with plenty to offer any traveler. Boaters in particular will find an oasis that provides plenty of culture and history, as well as a sprawling region in which to explore some of the most appealing waters in the southern hemisphere. While Sydney is undoubtedly a sophisticated metropolis, it is also one of the most unique places on Earth for those who love boating, and remains a place of continued enjoyment and inspiration for all who love the waters. After a visit, perhaps you will become so enamored with the place that you will want to become a Sydney-sider yourself!